Technology has advanced at a dizzying rate over the last decade and it shows no sign of slowing that pace. Feats that we could only imagine 20 years ago are a reality today thanks to tech like virtual reality (VR) and augmented reality (AR). Science fiction movies have been using holograms and mixed reality for years and now those technologies are upon us. The Society for Marketing Professional Services’ technology event, Emerging Technologies in the A/E/C Industry, is a testament to that fact. 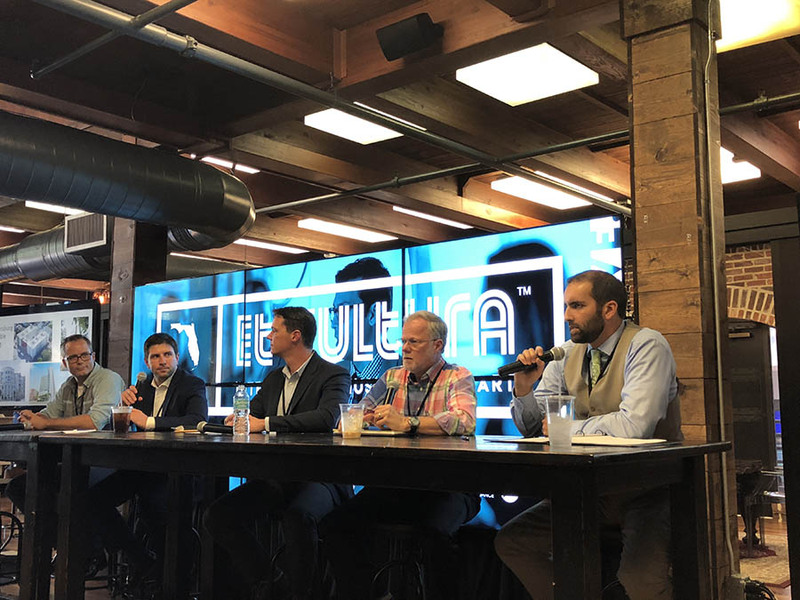 We learned some really interesting things at this comprehensive presentation and panel discussion from some of Tampa Bay’s leading techies and then we learned how these technologies are being applied to the architecture, engineering, and construction industries. Just a few years ago, virtual reality goggles and holo-glasses were fun, experimental gadgets that offered games, travel experiences, and trips to outer space without leaving the comfort of your living room. Soon after these gadgets became more mainstream, many industries, with the help of tech-savvy staff and forward-thinking executives, started seeing the real-world business applications of this technology. In the A/E/C/ industries, the applications are vast – and important. Imagine being able to do walk-throughs of a new building with the use of virtual reality, before the contractors even start working on the foundation. Contractors, architects and engineers can communicate about the nuances of a space before construction begins. This is a huge step for eliminating costly errors and miscommunication. Virtual reality is a project manager’s dream come true. When the Atlanta Falcons decided to build their new stadium, they hired our friends at HD Interactive to create a virtual reality simulation of the stadium experience from all perspectives, including the various seating levels, the 50-yard line, and the end zones. HD Interactive rendered the simulation using the architectural and engineering plans and created an application that allowed the owners and investors to do a virtual walk-through of the stadium. They inspected the experience from a multitude of angles and discovered that the giant television screens were placed at an angle that was extremely uncomfortable to look at. They were up too high so extended viewing caused the viewer to have neck pain. As a result of this discovery, the team changed the plans and placed the screens at a level that was more comfortable to view. Having the ability to change the plans before they began construction saved a significant amount of money and time added to the project timeline. Many industries are applying virtual reality and augmented reality. If you had the option, how would you apply this technology in your business? Et Cultura Festival wrapped up last week, and we wanted to share just a few of the interesting things we saw and experienced over the five-day festival’s myriad activities. It was definitely a whirlwind week and since we do public relations for the festival, the few weeks before were pretty hectic as well, but we had a great time and we’re already looking forward to next year. SEEDS interactive sessions at the Morean Center for Clay were phenomenal. There were several presentations throughout the day, all related to gardening, plant-based diet, sustainable living. It was incredibly interesting and enlightening, plus some of the presentations were interactive. 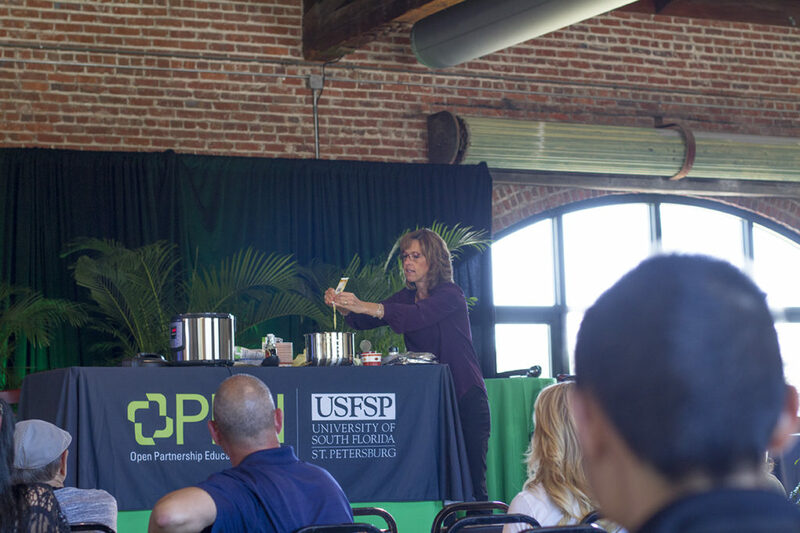 One presenter, Kim Campbell, Director of Recipe Development and Culinary Education for PlantPure, Inc., even did a recipe demonstration where she prepared 3 giant pressure cookers full of Ethiopian butternut squash and lentils with brown rice. She made enough to go around the entire room, and the whole room smelled incredible. Not only that, the dish tasted amazing, so we are definitely going to try making some recipes like this in the future. 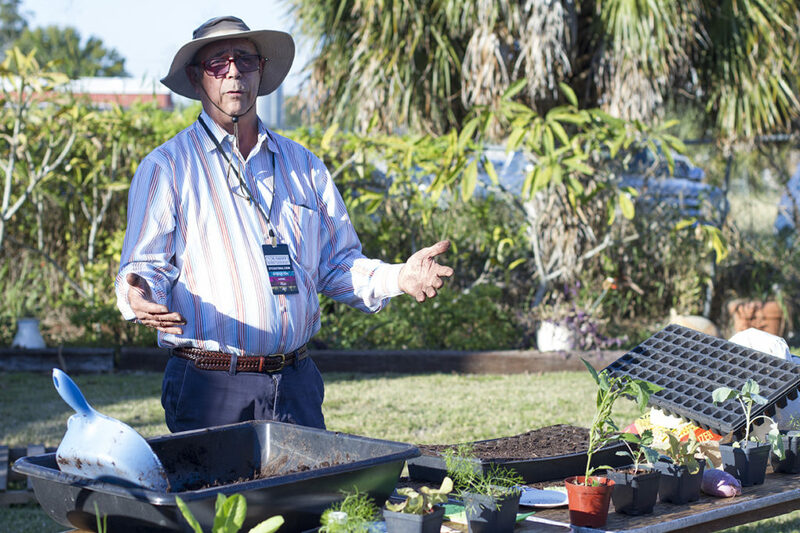 Another highlight of the SEEDS interactive sessions included live gardening demonstrations by some of St. Pete’s local farmers, which sparked some of the Pinstripe family to go home and start gardens. The weather was perfect and the crowd was thick for these sessions, which means a lot of people are interested in growing food. A panel discussion called “Prescribing Food as Medicine” provided some fascinating insights into how diet directly affects physical health and illness. One fascinating case in particular was a diabetic patient who was very sick changed their diet to plant-based and no longer had to use insulin. Other panelists discussed the affects of diet on heart disease, obesity, and even cancer. Lots of interested folks at the SEEDS interactive sessions all day long. 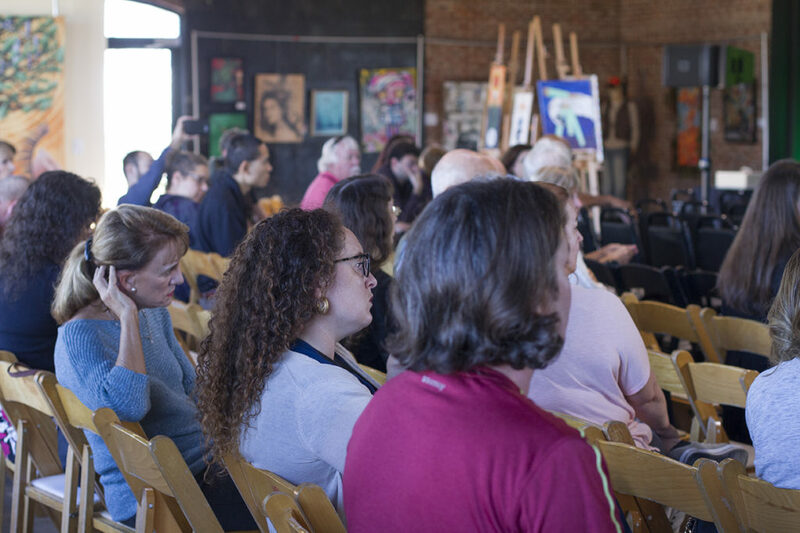 The Future City interactive sessions at Station House featured a wide variety of topics focused on economic development, supporting local businesses, affordable housing, social justice and more. 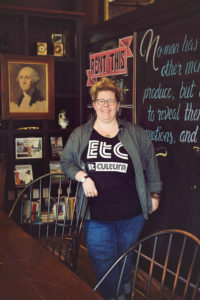 Small Is Big discussed the importance of championing locally owned and operated businesses and using entrepreneurs, citizen volunteers, events and artists for community development as well as an economic driver. What Is “Affordable” Housing These Days? featured speakers representing the city, developers, the tiny house movement and others. The discussion highlighted the needs for a variety of places to call home that we can afford and want to live in as our city grows, continues to attract young talent, and needs to support a service-oriented workforce and address the changing needs of an aging population. Perhaps the most interesting discussion on Thursday was Inclusive Cities featuring social justice advocate, Weldon Angelos. The panel discussed ideas for building a more equitable system in our community and beyond for citizens who break the law, serve their time, and want to re-enter society. Weldon Angelos story is fascinating and infuriating. He was sentenced a mandatory 55 years in prison for selling a few pounds of marijuana while possessing a firearm – a sentence so extreme that his judge, unable to go below the mandatory minimum, called on the president to commute Weldon’s sentence. Barring such a presidential commutation, taxpayers would spend more than $1.5 million to keep Weldon behind bars until he was 80 years old. Weldon’s sentencing provoked unprecedented public outcry. Twenty-nine former judges and prosecutors filed a ‘friend of the court’ brief beseeching Weldon’s sentencing judge to declare the sentence unconstitutional. At sentencing, Judge Paul G. Cassell called Weldon’s punishment “unjust, cruel, and even irrational,” comparing it to much shorter federal sentences given to repeat child rapists and airplane hijackers. Judge Cassell wrote a 67-page opinion urging President Bush to commute Weldon’s sentence to 18 years or less. Unfortunately, none of these efforts proved fruitful until recently, when President Obama commuted his sentence– after Weldon served 13 years in prison. On Friday we were fortunate enough to join a group of educators for the RADICAL SCHOOLS interactive sessions. 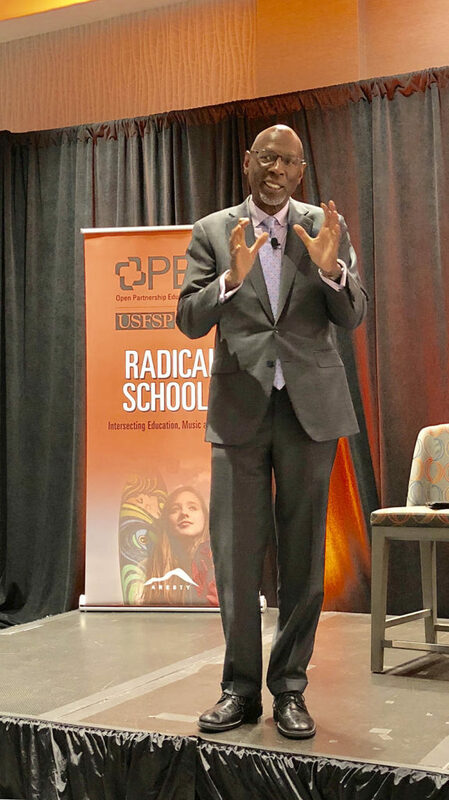 The keynote speaker was Geoffrey Canada, who flew down from Harlem, New York City to discuss his work with the Harlem Children’s Zone and the philosophy of his educational approach. He and his colleagues seek to change the lives of inner-city kids, prevent youth violence and foster community development through education reform. The model encourages educators to meet students where they are and use their own interests and needs to create active participation in their education and future. 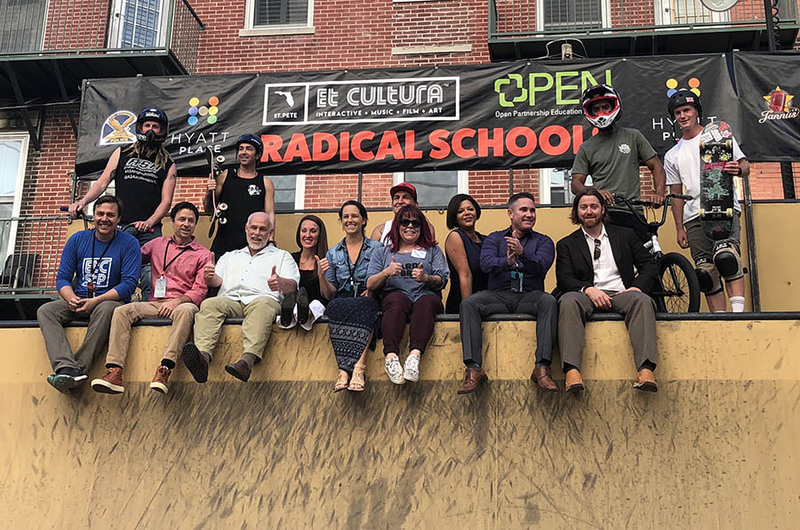 One really cool element of the RADICAL SCHOOLS interactive sessions was a portable skate and BMX half pipe. 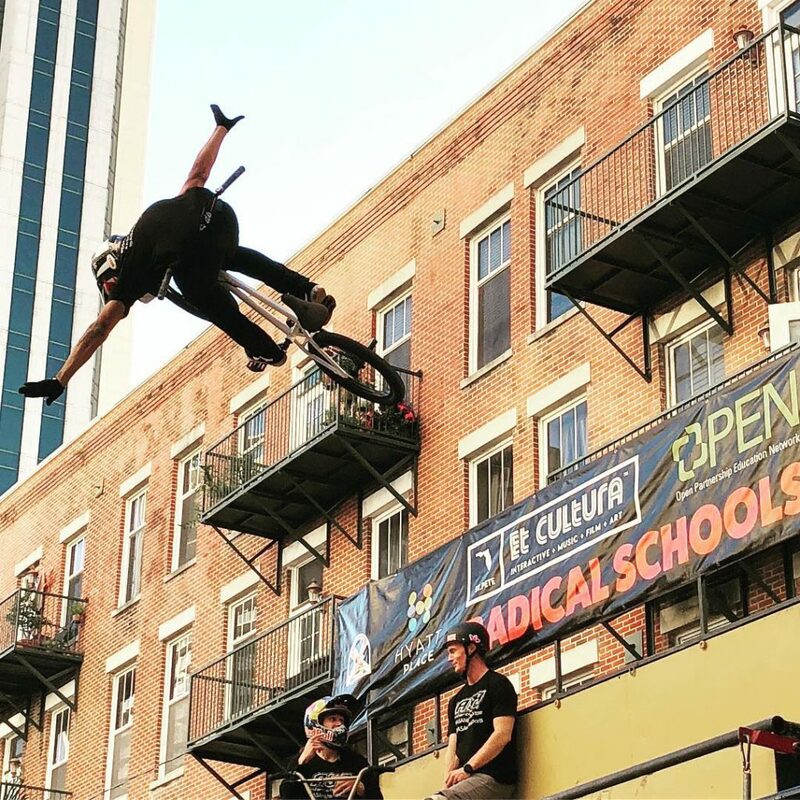 They set it up right in the middle of 2nd St between 1St Ave and Central in downtown St. Pete, closed off that street, and had professional BMX riders and skateboarders doing tricks. It was definitely a good way to get every kid’s attention, and a huge crowd of both children and adults gathered to see the talented athletes doing cool tricks and defying gravity. Of course, we also caught a few of the concerts, films, art shows and the makers market – Et Cultura is a week of what is best in St. Pete! 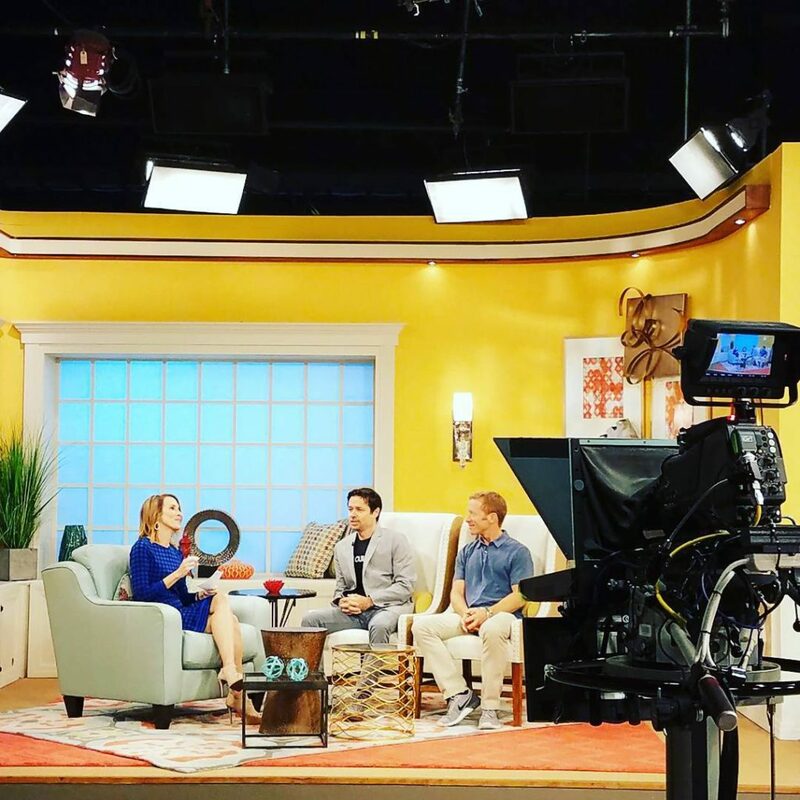 Our public relations efforts for Et Cultura included media relations and leveraging our relationships with local television stations to book morning shows for Et Cultura founders and other interesting interviewees. 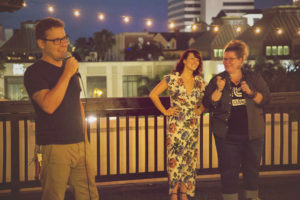 It’s a win-win situation, as the hosts get to meet great people who are making cool things happen in our community, and our clients have the opportunity to discuss their events and draw more attendance to their events on television shows with thousands of viewers across the Tampa Bay area. 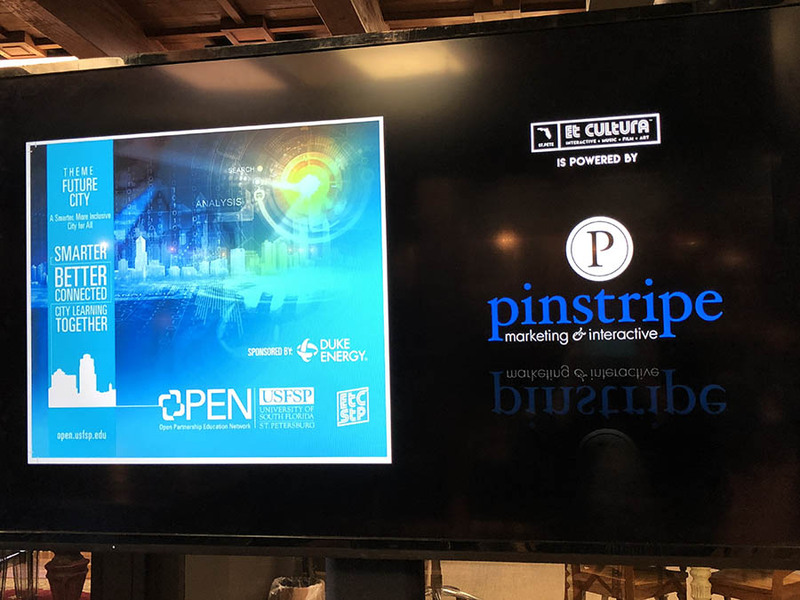 Next time you have an event or news-worthy business happening, get in touch with Pinstripe and we can help you get the word out to our community, both in television and in print. 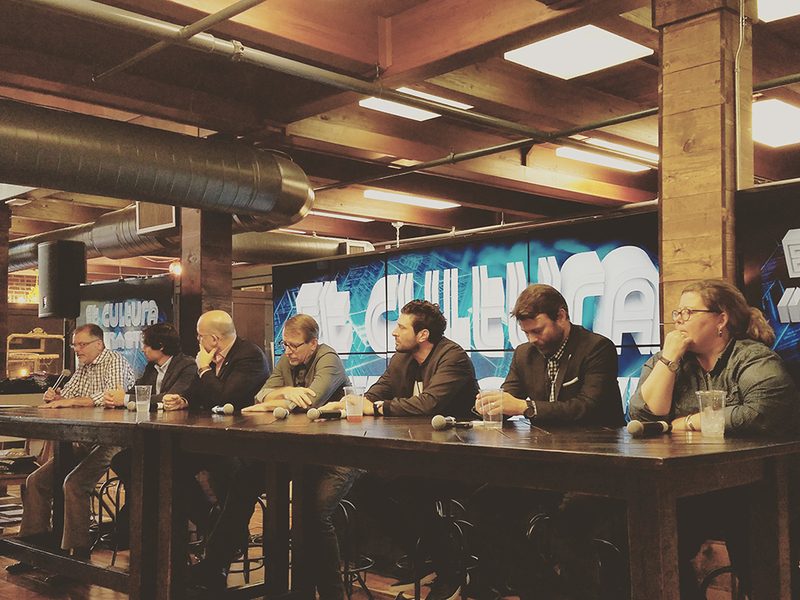 About a month ago the first inaugural Et Cultura Festival took place. The festival was the culmination of four creative minds, a city in the midst of tremendous cultural growth, and a collective of people from a myriad of spaces, from technology to politics to art to education to craft brewing. The timing, it seemed, was perfect. The City of St. Petersburg was ready for this. Lea Umberger, one of the 4 founders of Et Cultura Festival, at Station House St. Pete. Colin Lyman, one of the four founders of Et Cultura Festival. Joel Malizia and David Allison, two of the founders of Et Cultura. Pinstripe Marketing got involved back in June when we met Joel Malizia, one of the founders of Et Cultura. We invited Joel into our office to chat and he captivated us with the promise of Et Cultura – our creative souls could not resist a festival full of art, music, film, and interactive. We decided to sponsor the festival in a big way – by doing pubic relations and media relations in the months leading up to and during the festival. So it began. Wrapped up in the whirlwind, we were in awe as excitement built around the festival. It seemed as if everyone we knew had heard of Et Cultura, either from us or someone else. We were a part of something big in a city we are proud to call home, something that, deep down under, we all knew was coming. We also saw some great connections and decided to get some of our clients involved. Shorecrest Preparatory School sponsored part of Et Kidtura, a section of the festival just for kids. Our friends at ADM Two, a trade show fabrication and design firm, sponsored many of the beautiful banners and signs for the festival. We attended as many as the interactive sessions as we could, and were wowed by the local and national presenters that stood before us and discussed their experiences and thoughts on technology in design, entrepreneurship, and even art. The final keynote speaker was South By Southwest’s own Catlin Whitington. 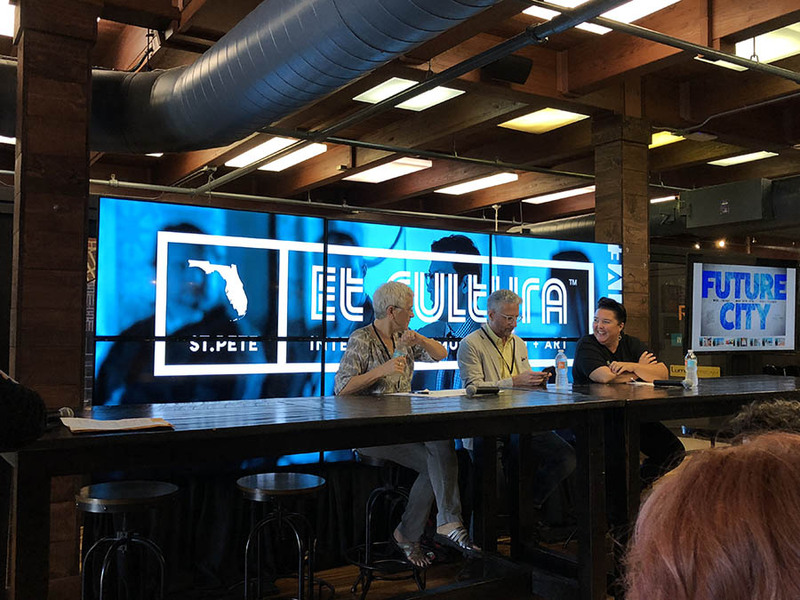 After his presentation a panel discussion erupted about how to keep the momentum of Et Cultura going, to make it a signature of St. Pete. 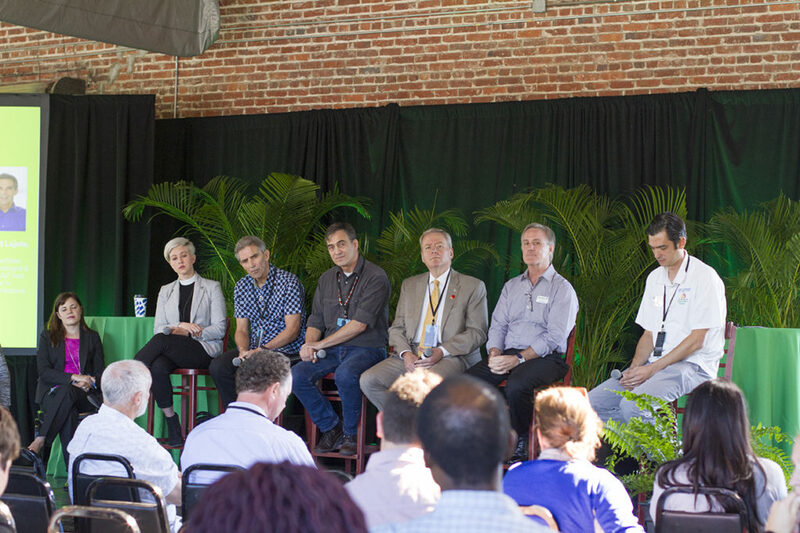 Panelists for the Metathesis St. Pete discussion after SXSW keynote speaker Catlin Whitington’s presentation. 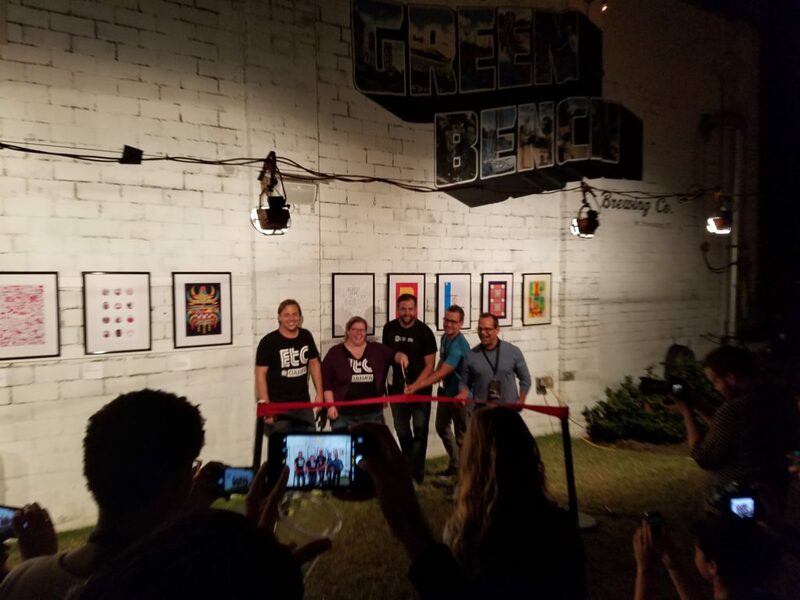 The art and music started on Friday with a graphic design exhibition curated by HYPE Group and held in the beer garden at Green Bench Brewery. DJ Sugarbear was spinning soul music that had us all grooving, and in general it was a great atmosphere. The four Et Cultura founders, Lea Umberger, Joel Malizia, Colin Lyman, and David Allison had their official ribbon cutting ceremony right there by the artwork, and later we all headed down to see local band, The Hip Abduction. The four Et Cultura founders cut the ribbon at the graphic design show. Saturday’s art exhibition, Heroes and Villains, was curated by Black Amethyst Gallery and featured dozens of local artists of many different mediums depicting their own versions of heroes and villains from literature and film. The makers festival took place as well, so there was plenty to see and do. A spectacular projection mapping display was held every hour along with music on two stages and several films being screened. It was an action packed weekend. We are so glad to have met Joel on that day in June and to have been able to participate on the ground floor of this festival. 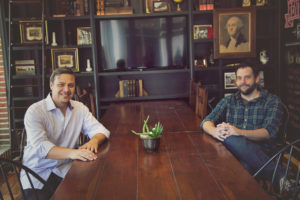 We worked with our media contacts to connect the founders with the Tampa Bay Times, Daytime Television, and several other local news outlets who showed an interest in Et Cultura. We are certain that this interest will only build as the founders build their list of featured presenters, artists, musicians, and filmmakers. We can’t wait to see what Et Cultura has in store for our city next year!